The Detroit Metro Stars Baseball Club is a 501 c 3 non-profit youth baseball program. Our teams range from 8-18 U. We have an outstanding collection of coaches and training systems that help us develop our players to reach their full potential. Our goal is to help each and every player compete at the highest levels possible and play in high school and at the next level if they have that desire. Congratulations to Coach Shawn Maloney for this amazing accomplishment. Coach Maloney, President of the Metro Stars, is an intricate part of our organization and has influenced players all over the county for many many years. TWO MORE FORMER STARS TAKEN IN JUNE MLB DRAFT!!! Congratulations to Riley McCauley and Daniel Robinson. Former Detroit Metro Star Maloney in the headlines again! Alex Maloney closed out his Ball State University baseball playing career in 2017 by receiving the “Dirt Bag Award” from his teammates. It’s that kind of approach that Maloney is taking as the pitching coach at Wayne State University, an NCAA Division II program in Detroit. He is a graduate student pursuing his masters degree in business. ‘This team is a really special team to be around,” says Maloney, 24. “It’s a great group of hard-working kids. They make my job easy. Before transferring to Delta High School in Muncie, Ind., midway through his senior year (2013), Maloney attended Chelsea (Mich.) High School — located about 60 miles from Detroit — and played baseball and football for the Bulldogs. Alex transferred to Delta when father Rich Maloney returned as Ball State in Muncie as head baseball coach. Terry Summers was head coach at Delta when Alex and younger brother Nick played for the Eagles. Alex Maloney, the oldest of Rich and Kelle Maloney’s three children (Nick is a Ball State senior and daughter Natalie is a BSU freshmen) was recruited to Ball State as a two-way player. Injuries limited his pitching appearances. He worked nine stints and 8 2/3 innings in his freshman and junior seasons. He was primarily a shortstop or third baseman. After playing in 227 games (226 as a starter), Maloney graduated from Ball State in 2017 with a degree in Political Science and a minor in Business Information Systems, played a few games with the Birmingham Bloomfield Beavers of the United Shore Professional Baseball League in Utica, Mich., then signed as a free agent with the Chicago White Sox organization. He played 23 games in 2017 and was released in June 2018. He was on his way to testing to becoming a Michigan state trooper when Wayne State contacted him about continuing his education while coaching baseball. He started at WSU in August. “Coaching or federal law enforcement — I’m debating each one I want to do,” says Maloney. “This is a great opportunity. It gives me two years to figure out what I wanted to do in life. Maloney experienced what he calls a learning curve in the fall as he was getting to know his pitchers and they were getting to know him. Though he was mostly a position player in college, he welcomes the chance to learn more about guiding pitchers. “As a coach, it’s good to be well-rounded,” says Maloney, who also helps with hitters and infielders on a Warriors staff led by Ryan Kelley and also featuring assistant/recruiting coordinator Aaron Hepner plus volunteer assistants John Dombrowski, Chris Ogden, Jake Pacholskiand Josh Simonis. Maloney has made the conversion from player to coach with the help of some mentors. Besides his father and Wayne State’s Kelley and Hepner, there’s been Ball State pitching coaching coach Dustin Glant and University of Alabama at Birmingham volunteer assistant Ron Polk (who was a head coach for 35 years, including 29 at Mississippi State University) among others. Maloney is also learning about NCAA Division II baseball, which is allowed to give nine scholarships (it’s 11.7 in D-I) and the teams on Wayne State’s schedule while also making connections with members of the Michigan High School Baseball Coaches Association and beyond. The MHSBCA staged its annual state clinic Jan. 11-12 in Mt. Pleasant. The Wayne State Warriors are part of the Great Lakes Intercollegiate Athletic Conference (with Ashland, Davenport, Ferris State, Grand Valley State, Lake Superior State, Michigan Tech, Northern Michigan, Northwood, Purdue Northwest, Saginaw Valley State and Wisconsin-Parkside). Congratulations to Brendan Hertel on his commitment to Albion College. Brendan has worked very hard to become a college athlete. He is a great player and even better person. I am so excited to see the great things he accomplishes at the next level. I am very proud of you. Congratulations to Jack Chermside on his commitment to Furman University. Jack is an outstanding student athlete that I know will excel in college. Best of luck Jack. We know the future is bright for you. I am very proud of you. Congratulations to Christian Gutierrez. Christian just accepted a scholarship to Lansing Community College. This young man has a passion and love of the game that few kids match. I am so excited for him and know he has a very bright future. I am so very proud of you. Congratulations to Jeff Landis. Jeff just accepted a baseball scholarship to Hillsdale College. Jeff is a great example of outstanding work on the field but also in the classroom. I know he will be very successful at Hillsdale. I am very proud of you. Congratulations to Austin Owens. Austin just accepted a baseball scholarship to Ohio Valley University. I could not be more proud of this young man. He has overcome numerous injuries over the past few seasons and worked incredibly hard to get healthy. His hard work and passion has paid off. I know he has a bright future and I can't wait to see him play college baseball. Congratulations to Tito Flores. Tito accepted a baseball scholarship to The University of Michigan. Tito is newer to the Metro Stars but we have known him for a long time. Very excited for this outstanding young man. I know his future will be bright. Congratulations to Cole Agemy. Cole accepted a baseball scholarship to Central Michigan University. Cole has been a Metro Star since he was 9 years old so he is as home grown as they come. Special thanks to Coach Wolf for all the time he spent working with Cole as well as Coaches Plouffe, Sanderson, D'Orazio, Vandenbrink, Allen, Maloney, and Cassady. Congratulations to Nick Allen. 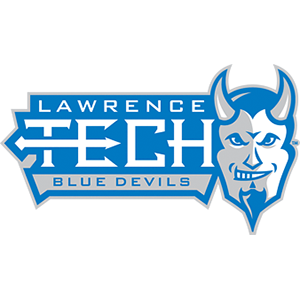 Nick accepted a baseball scholarship to play for Lawrence Tech. I have coached Nick since he was 8 years old. I could not be more proud of this young man. He is a great example of hard work and overcoming obstacles to achieve his goal. I am sure he will have an outstanding future at Lawrence Tech on the field and in the classroom. MLB DRAFT NEWS - 4 FORMER DETROIT METRO STARS TAKEN IN 2017 DRAFT! 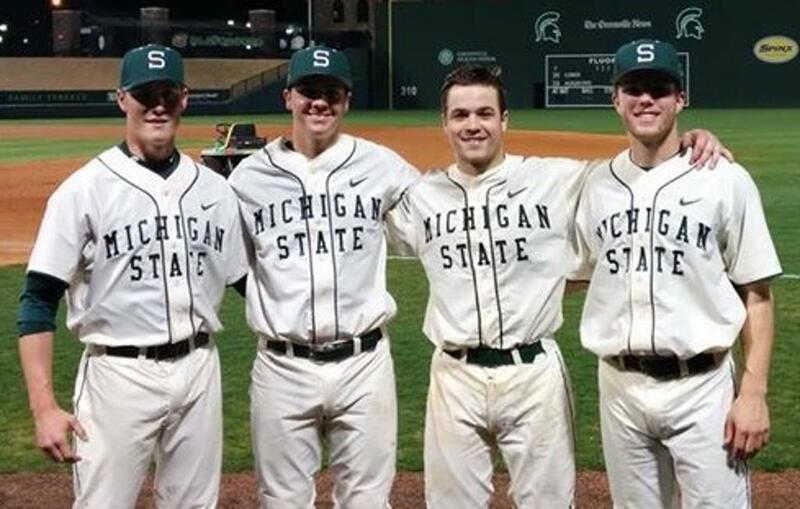 FOUR FORMER DETROIT METRO STARS TAKEN IN 2017 MAJOR LEAGUE DRAFT! We could not be more proud of you. 2018 Summer Slam 13u Tournament Champs! Congratulations to the Detroit Metro Stars 13u Red D'Hondt team for winning the Summer Slam USSSA Tournament 6/10/18! 16 U METRO STARS WIN TWO TOURNAMENTS IN A ROW!!! Congratulations to the 16U Metro Stars. They won the Midwest Elite and Pastime Best of Great Lakes Tournaments. Great job guys! CLICK ON THE PHOTO BELOW TO SEE OUR ALUMNI!! Please join me in congratulating these Metro Star players that have committed to play college baseball. Buying or Selling a Home? Let us put our more than 30 years experience to work for you! Special Discounts for all Detroit Metro Stars Families! The Metro Stars are proud to have Boombah as a Corporate Partner. The Detroit Metro Stars are proud to have Pacific Headgear as a corporate partner. Thank you for your support! 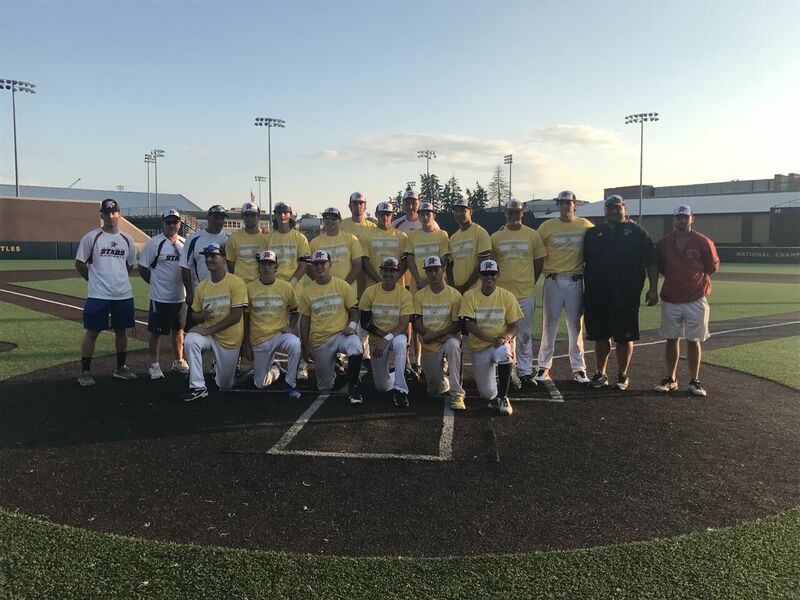 ©2019 Detroit Metro Stars Baseball / SportsEngine. All Rights Reserved.